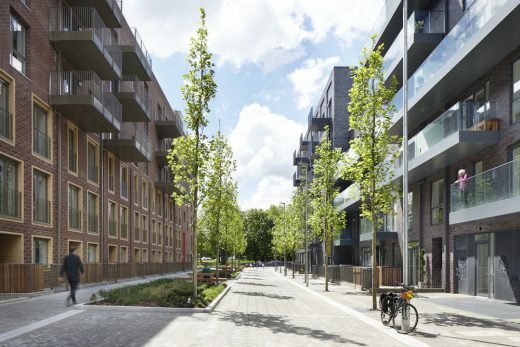 153 new homes delivered in first phase of estate regeneration masterplan next to Clapham Junction. 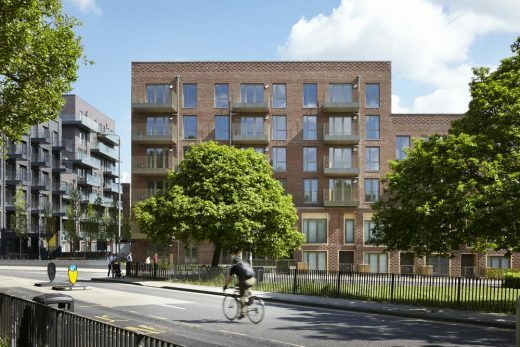 Peabody, in collaboration with Hawkins\Brown, has completed 153 homes for social rent, shared ownership and private sale, in phase one of its masterplan for the redevelopment of St John’s Hill in Battersea. 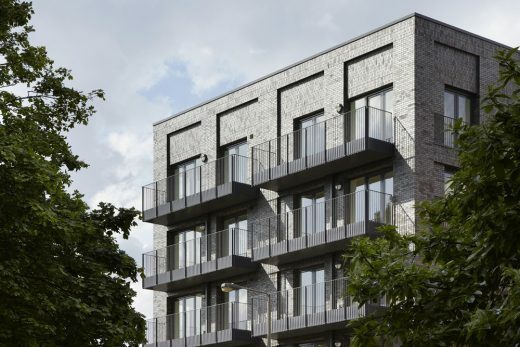 Situated next to Clapham Junction station, the first phase includes three buildings ranging from four to eight storeys in height. 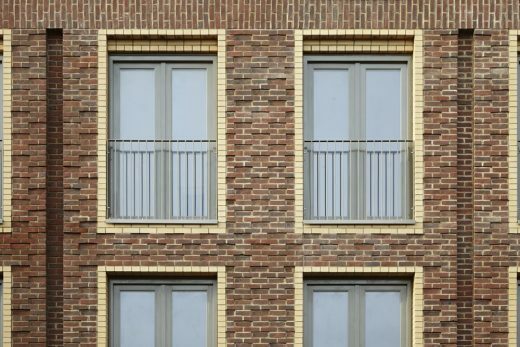 The new development provides private balconies as well as new public space and is finished in a varied palette of five types of high quality brick work. While the estate used to be inward looking and isolated, the new design opens the development to its surroundings. 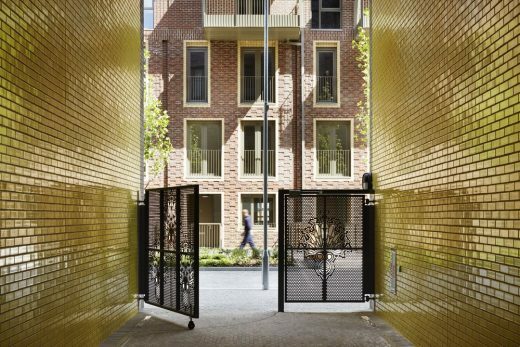 New pedestrian routes across the site link the estate back into the surrounding streets. 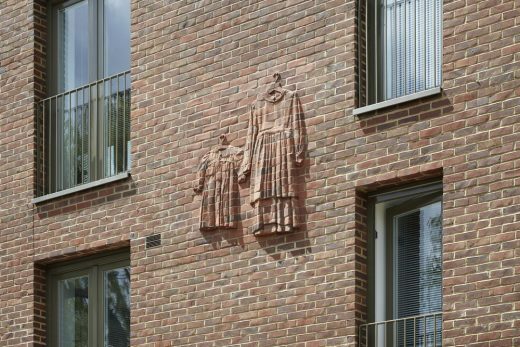 In order to recall the estate’s history and identity, Hawkins\Brown collaborated with sculptor Rodney Harris, who was commissioned by Peabody to design and create brick reliefs in the building fabrics. The four sculptures represent residents’ memories through objects of domestic life such as clothing and tools. 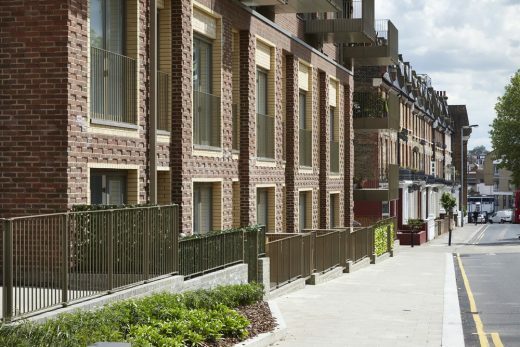 “The challenge at St John’s Hill has been to deliver new homes on a constrained site. 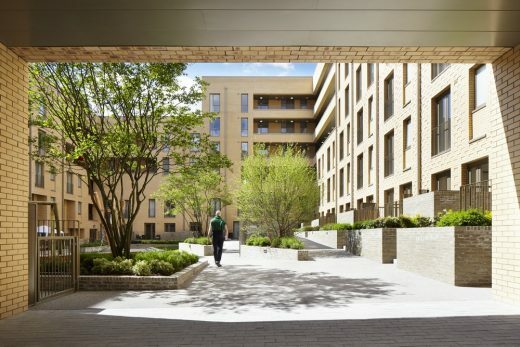 Our masterplan will maintain the existing community so we were tasked with increasing density across the estate without losing a sense of place. 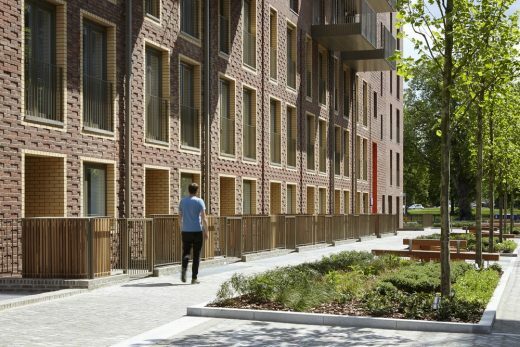 Hawkins\Brown and Peabody have worked closely with residents to develop plans for the regeneration and all current residents will be offered a new home on the estate. 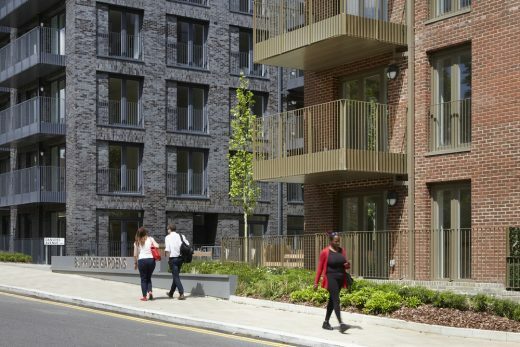 In order to fulfil this key objective, Peabody asked its residents to be involved in the estate’s regeneration, mainly through community events and the Residents’ Steering group. The three new buildings include one courtyard block that rises from four to seven storeys. The two other buildings are designed as a linear block of 4, 6, and 8 storeys high, running along the boundary with the railway. 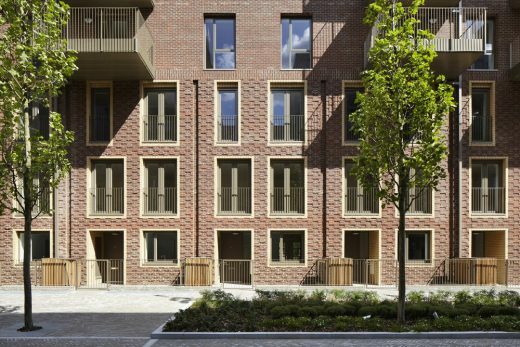 Each building has a specific character, using different brick types, window openings, and balconies to allow variety within the estate and create identity within different parts of the site. 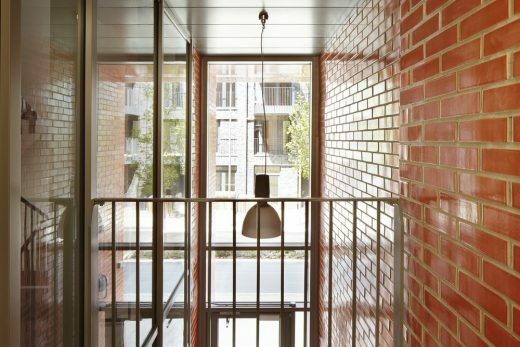 Coloured glazed bricks are used to define communal entrances. 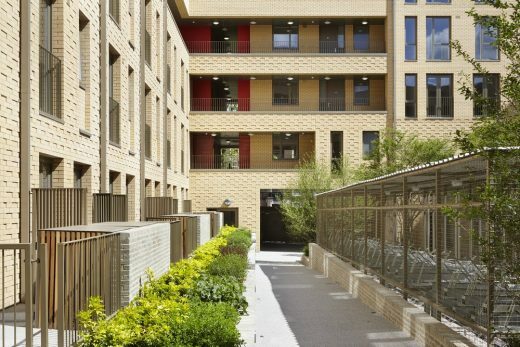 All three buildings provide access to generous courtyards for shared private amenity space. There are two more phases to follow. 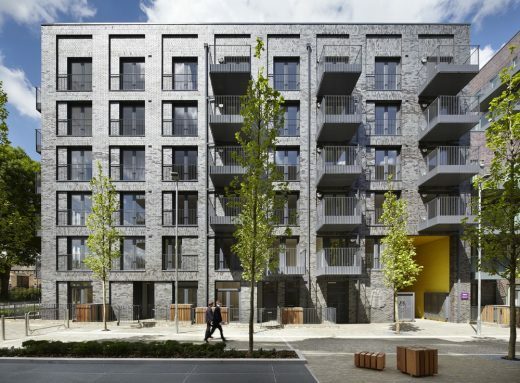 Once completed, the estate will deliver 538 homes, of which more than 50% will be affordable. 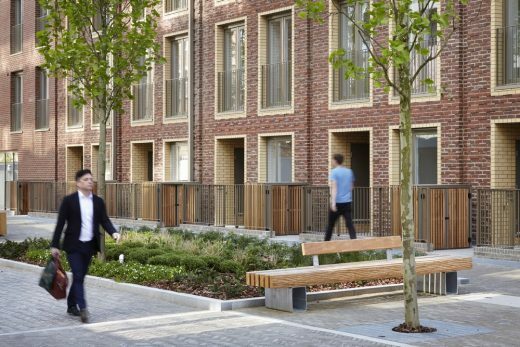 The new design of the estate will provide a more open public space that allows better access to the development’s surroundings and encourages engagement with neighbours on the estate as well as the public. 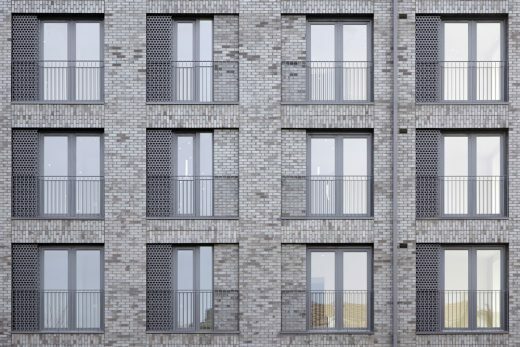 The complete redesign almost doubles the residential density, while increasing home sizes, delivering a diverse mix of residential unit types ranging from one bedroom flats to four bedroom homes. Unit types and tenures are mixed across the scheme to encourage the co-location of different types of household. In addition, the plans for the next two phases include the delivery of older person’s accommodation, a community hub and new commercial and retail space. Demolition as part of the start of phase two is due to start this summer.